Integrate your passion with the skills and knowledge needed to become a school counselor. This CACREP accredited program prepares graduates for school counseling certification, and licensure as a professional counselor (LPC) which is essential employment in the mental health field and private practice. Students who take at least 6 credits per semester receive a 25% tuition award. Students may complete the Master's of Science in Education in School Counseling program within 2 years or also have the option of completing the program on a part-time basis. Classes are held during weeknights. Graduates are very successful in obtaining employment in school and mental health settings. Large Alumni Base: As a graduate of this program, you will be amongst the 1200 alumni who are leaving an impression on the field of mental health as leaders and innovators. Mental health counseling positions (e.g., outpatient, in-home, family-based, etc.). The stimulating curriculum is designed to include experiential learning, self-reflection papers, case study analysis, and group activities. Nearly all of the courses are taught in a traditional rather than a distance education format. Emphasize self-awareness, personal development, and experiential learning. For additional information and statistics, please see the Annual Report. In the university application applicants will be asked to provide the contact information for two (2) recommenders, who will subsequently receive an email prompting the recommender to upload their recommendation for the applicant. Recommendations must be from individuals who can speak about your academic/professional abilities (i.e. faculty/supervisor). Family, friends, and professional colleagues are not acceptable references. Applications are accepted for fall semesters only. Applications received by March 1st are prioritized, but applications will be accepted beyond this date. Applicants to the School Counseling and School Counseling for Certified Teachers programs whose GPA is less than a 3.0 on a 4-point scale for their last 48 credits (bachelor's or master's) will have their transcripts reviewed by the School of Education. If the applicants' GPA is between 2.8 and 3.0, in accordance with the requirements of the Pennsylvania Department of Education (PDE), the applicant must submit either a score for the Graduate Record Exam (GRE) or the Miller Analogy Test (MAT), using the same procedure for submitting their official transcript(s) (identified above). Transcripts from countries other than the United States must be accompanied by WES (World Evaluation Service) form from USCES. Applicants who do not have a bachelor's or master's from a non-native English speaking nation are required to submit either TOEFL or IELTS scores. The scores are submitted to Mrs. Beverly Sughrue, Counselor Education Program, Duquesne University, School of Education, 600 Forbes Avenue, Pittsburgh, PA 15282. The English as a Second Language (ESL) Program conducts a review of each matriculated student upon arrival to determine individual needs for English instruction to support success in his/her chosen degree program. Debra Hyatt-Burkhart (Ph.D., LPC, NCC, ACS, Counselor Education and Supervision, Duquesne University, 2011) is an Associate Professor in the Department of Counseling, Psychology and Special Education. She currently serves as the Director of Program Practices for the Counselor Education program. 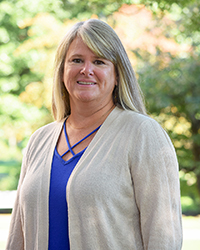 Dr. Hyatt-Burkhart coordinates the fieldwork component of the masters program and teaches courses in both the masters and doctoral level counseling programs. Her clinical practice of nearly 30 years informs her teaching and enables her to bring real-world examples and issues into the classroom. Dr. Hyatt-Burkhart's research focuses on positive approaches to and experiences in the treatment and supervision of trauma, as well as upon practice issues. A few examples of her work can be found in the Journal of Loss & Trauma, The Family Journal, Counseling Today, and The Encyclopedia of Marriage, Family, & Couples Counseling. 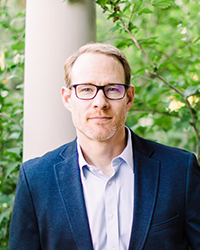 Jered Kolbert (Ph.D. Counseling, College of William and Mary, ‘98) has served as Counselor Education program director since 2012. He has worked as a school counselor, marriage, couple and family counselor, and he is in private practice as a licensed professional counselor (LPC). He has authored many journal articles and co-authored 3 books. Dr. Kolbert's primary research interests are bullying and relational aggression. 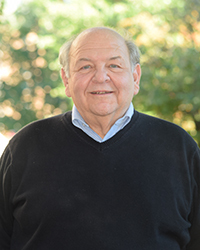 William Casile (Ph.D., Counseling, University of Pittsburgh, 1980) I served as the Director of Undergraduate Special Education (92-98) and the Director of the Doctoral Program in Counselor Education & Supervision (04-07). My initial work in teaching and advocacy on behalf of people with significant life-challenges led me to my journey in counseling and supervision. I typically teach courses in group counseling and counseling techniques, and I particularly enjoy supervision. My research explores collaboration in the supervision and development of counselors in training, and I am curious about attaining wellness. If I am not traveling or planning a trip, I feel restless. 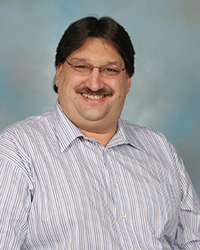 David Delmonico (Ph.D., Counselor Education, Kent State University, 1997) is a professor specializing in Clinical Mental Health Counseling. Dr. Delmonico teaches classes on addictions, sexuality, and foundational courses in mental health counseling. His research interests include cybersex compulsivity, cyber-offense behavior, and the overlap between psychology and technology. Fr. Jocelyn Gregoire , CSSp; GOSK; Ed.D; NCC; LPC; ACS is a Roman Catholic Spiritan priest of over 32 years and has been involved in the counseling field for many years. He is currently an assistant professor in the counseling department of the School of Education at Duquesne University, in Pittsburgh, Pennsylvania. In addition to his doctorate in Education, he holds two other graduate degrees. Through his expertise as a professional counselor, he has helped thousands of people across the world in their journeys toward personal growth and healing. He is a National Certified Counselor (NCC), Licensed Professional Counselor (LPC), an Approved Clinical Supervisor (ACS), and a member of numerous counseling associations. He has co-authored several articles in refereed journals in the area of sexual addiction and compulsivity, identity development, social justice, and spirituality, as well as two books in counseling. Matthew Joseph (Ph.D., Psychological Studies in Education, Stanford University, 2009) is an assistant professor in the Department of Counseling, Psychology, and Special Education. 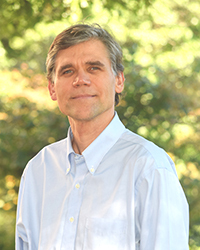 He teaches graduate-level coursework in lifespan development, career development, and research design. 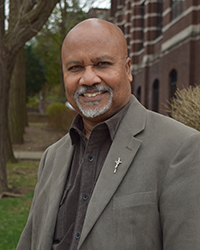 Previously Dr. Joseph worked as an academic advisor/career counselor in higher education as well as director of research for an educational non-profit. His research explores the development of purpose and meaning across the life span with a particular focus on emerging adults, as well as the roles of counselors and other educators in secondary and higher education toward promoting young people’s positive development. 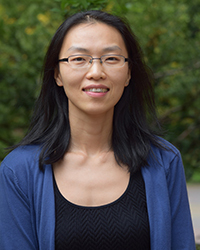 Yih-Hsing Liu (Ph.D., Counseling and Counselor Education, Syracuse University, 2016) joined the faculty of Counselor Education in 2015. Dr. Liu practiced psychotherapy in Syracuse, New York (2011-2014), and was a registered psychiatric nurse at Taipei City Hospital in Taiwan (1999-2004). Dr. Liu’s research and clinical interests fall under the broad category of trauma-informed care, integrative medicine, clinical discourse analysis, and critical multiculturalism. Waganesh Zeleke (Ed.D., LCPC,NCC. Counseling, University of Montana, 2013) has served as an assistant professor in the Department of Counseling, Psychology and Special Education since 2013. 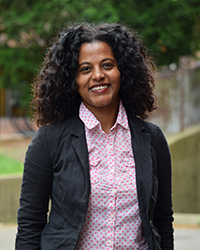 Dr. Zeleke teaches primarily clinical mental health counseling courses to both Master’s and Doctoral level students in the Counseling program. Her research explores how culture and context shapes indviuduals mental health and wellbeing with a focus on autism, immigrant mental health, and international adoption.